The sediment logs are cylindrical structures made of natural fibers used for soil retention, filtration and runoff control. 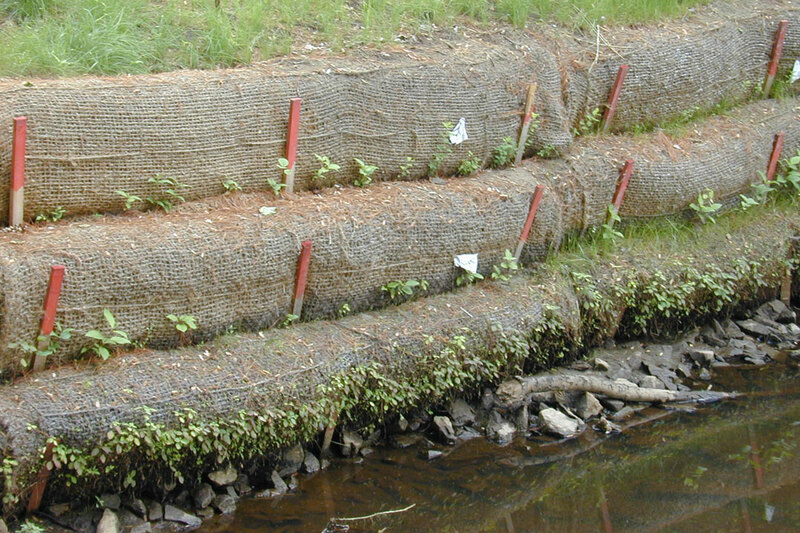 Anchored to the ground with wooden stakes, they will stop the runoff, thus protecting the slopes and embankments from erosion. They can also be used in the channels by placing them perpendicularly to the flow. This will reduce hydraulic energy, filter water and reduce the spread of sediment into the environment.